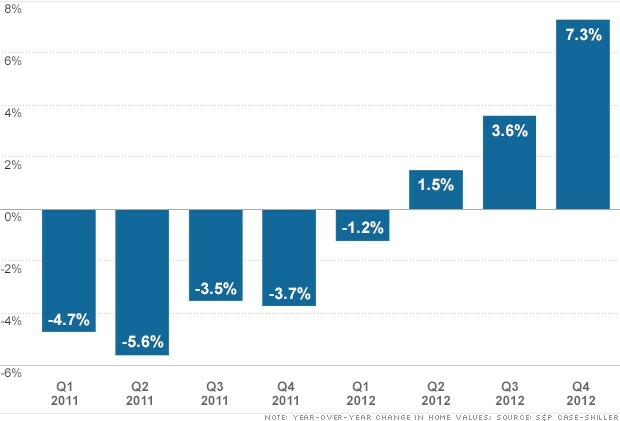 The home price increase marks the third straight quarter of year-over-year gains. The price report covered 20 major housing markets. The number of new homes sold in January jumped more than 15% from December and nearly 30% from a year earlier, according to the Census Bureau report. There is only a 4.1-month supply of new homes available for sale on the market, the tightest supply by that measure since the bubble days of 2005. The improvement in the market is driven by many factors, including near record low mortgage rates, a drop in the number of home foreclosures, the tight supply of both new and previously owned homes available for sale, and an improvement in the overall economy, including a lower unemployment rate. These factors are combining to bring potential buyers who have been scared to buy during the housing downturn back into the market. Like to cook??? Maybe this home is for you….. It helped me out a lot.